The Orchard project was designed to increase patient engagement in a mental health unit through workshops and murals. The Orchard is a purpose built mental health unit in London designed specifically for women only who require enhanced levels of treatment within a medium secure setting. 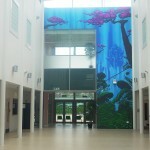 To increase the level of active engagement and improve the general environment, Signal Project was commissioned to hold creative workshops with the patients to develop design ideas for two murals that spanned the walls in the central communal atrium and secure gardens outside. Signal artists quickly developed an engaging and excellent working relationship with the atrium team and patients. They were sensitive to the women’s differing needs and individual pace, and respected everyone’s contribution to the work. Working within strict institutional health & safety and security parameters, Signal and The Orchard staff designed the project to make significant departures from standard processes in the unit, benefiting the women’s rehabilitation. The artists held open workshops in the atrium at time when the women were accessing the shop, boutique and library that exposed the women to the concept of the mural in a non-threatening way. 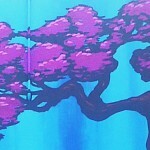 Through a series of hands-on discussion and creative sessions, the idea for the mural took shape. The women and staff chose design ideas and colours and this was developed into the final design. 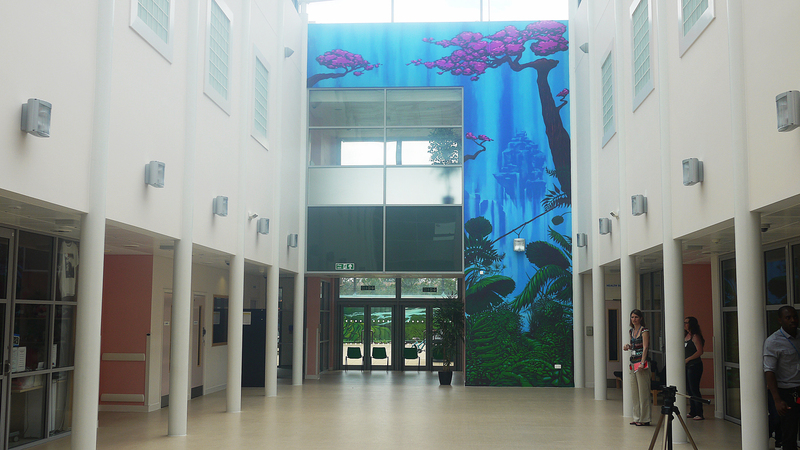 The completed mural brings a strong yet tranquil focal point to the atrium, which before was a rather sterile area. The mural allows service users to have a potential feeling of hope of a world outside that can be seen and felt. 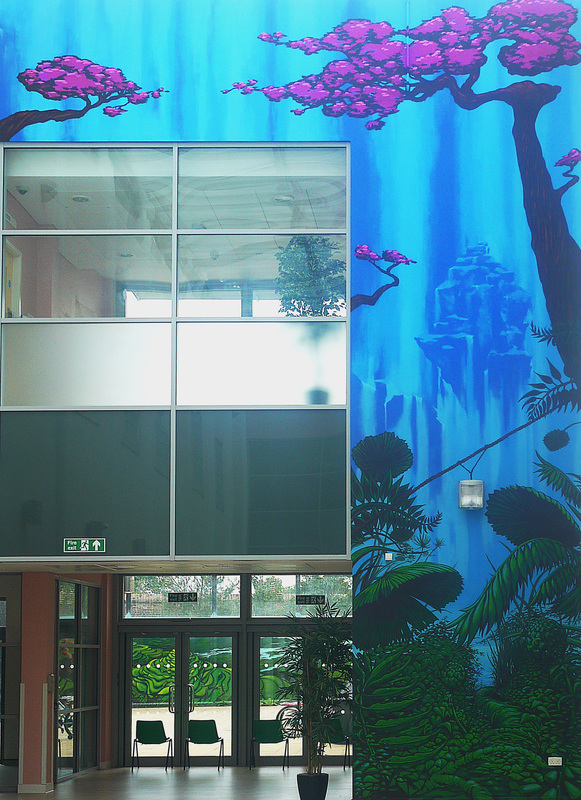 The visual link between the two murals, one inside and one outside, gives the feeling that the outside has been brought into the building, which has a powerful positive impact on the staff and patients alike. The towering 12 meter height of the atrium mural forces the eye upward to the sky beyond the glass ceiling. This is a visual reminder that the area is light and airy; there is space, and an optimistic and open view of the world outside. A restrained colour palette and sense of space is key to creating a sense of serenity. 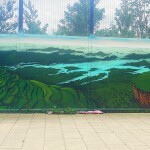 The success of the project and resulting murals has been a catalyst for further ideas and work to take place.